We laid out 2 possible itineraries. Plan A was to check first if there was a ferry bound to Calayan (part of Babuyan Islands) from Santa Ana to join Ed of Eazytraveler. 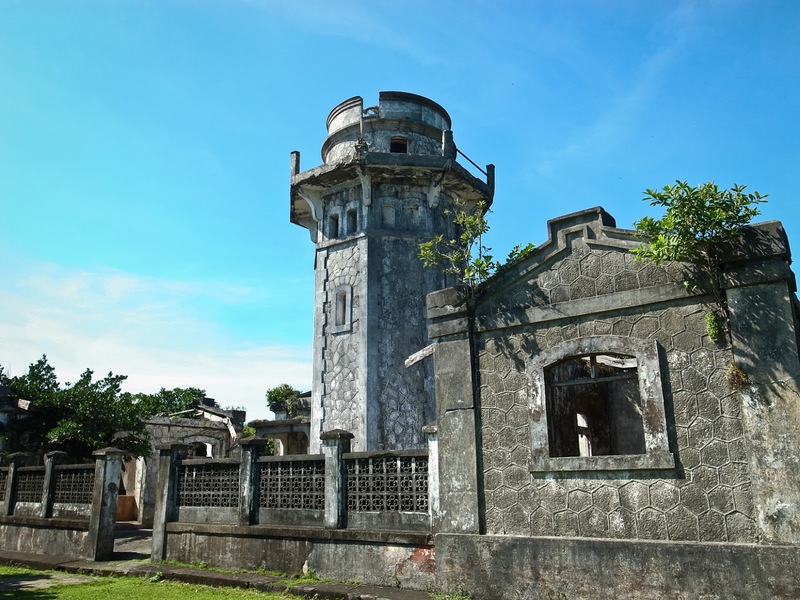 Plan B was to proceed to Palaui Island and visit the famed Cape Engaño lighthouse. This is Plan B.With that set, we exited Manila along with the majority of the population who wanted to spend the 5-day weekend in the provinces. After 13 hours, we finally walked the streets of Tuguegarao. I enjoyed a cup of coffee on the sidewalk while we waited for a couple of hours for the first trip of the van to Sta. Ana. The 3-hr ride to Santa Ana was brimmed with views of endless rice fields coupled with mountain ranges as backdrops, plus occasional glimpses of the vast Cagayan River. 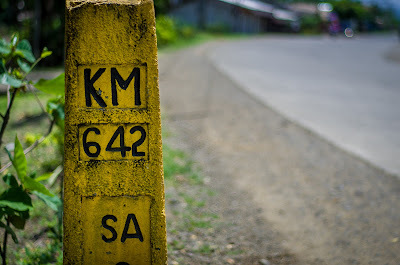 The last kilometer marker up north is found near the San Vicente port (or SanV as the locals call it) in the municipality of Santa Ana. 642km from 0 point in Luneta! The Coast Guard at the SanV port informed us that M/V Eagle Ferry bound to Calayan has not yet returned since it left two days ago. Apparently, Eagle Ferry leaves Sta.Ana in an irregular, weather-permitting schedule. 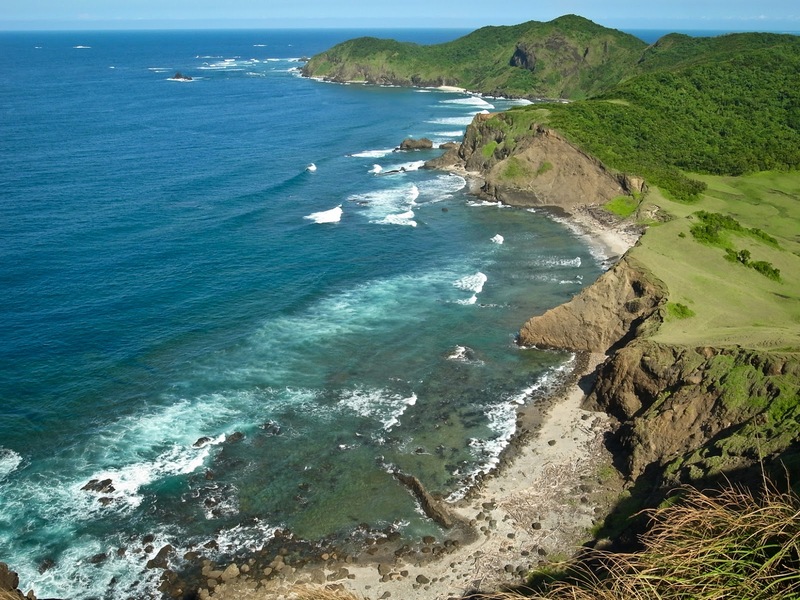 The only way to reach Calayan from San Vicente Port is to hire a boat for a whopping price of P10,000. Due to budget constraints, we scratched off Plan A. Plan B it is then! 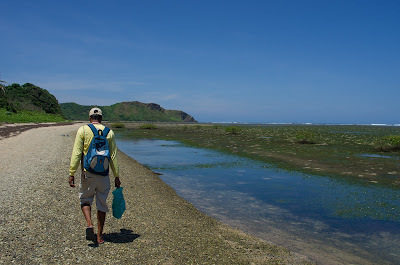 From the port, we hired a boat to take us to Punta Verde where the local fishing community in Palaui Island is situated. Punta Verde is the jump-off point for trekking to Cape Engaño and also, where the 3 homestays in the island are located. 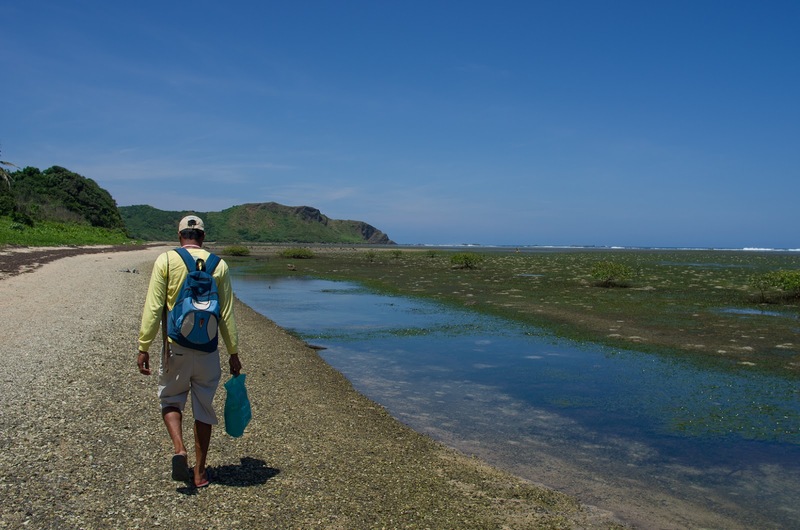 Upon reaching Punta Verde, we signed up with the Coast Guard and got ourselves a guide who also led us to the Bayanihan Hall. We were welcomed by the homestay's most gracious caretaker, Charlie Acebedo. 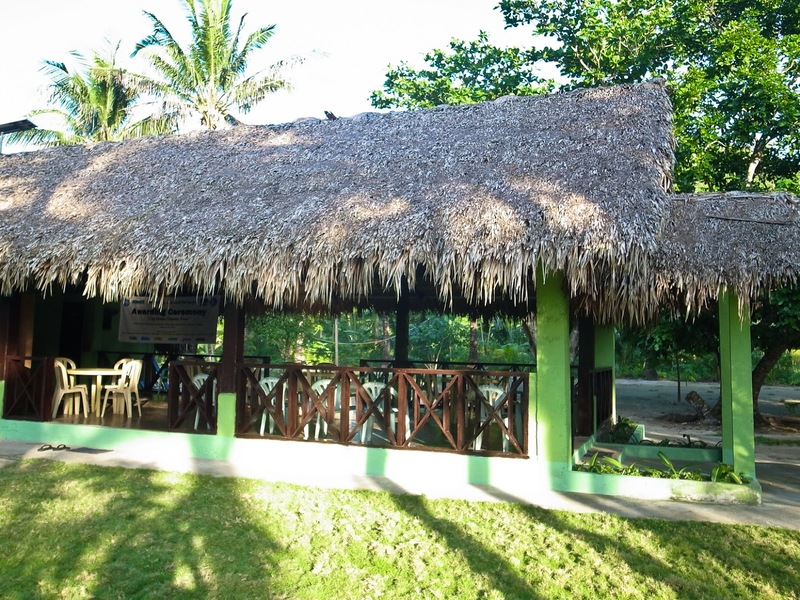 The homestay has one room with 1 double-deck and 1 double sized papag equipped with mats, pillows, and mosquito nets. There is no commercial electricity in the island and the community relies on solar power. You can bring food and have Ate Jenny cook them for you, but since we didn't bring anything with us, they agreed to take care of our meals. It was a good thing we didn't bring canned goods! We got to eat a plentiful of fish (in a variety of dishes -- fried, sinigang, paksiw) all fresh from the morning's catch. 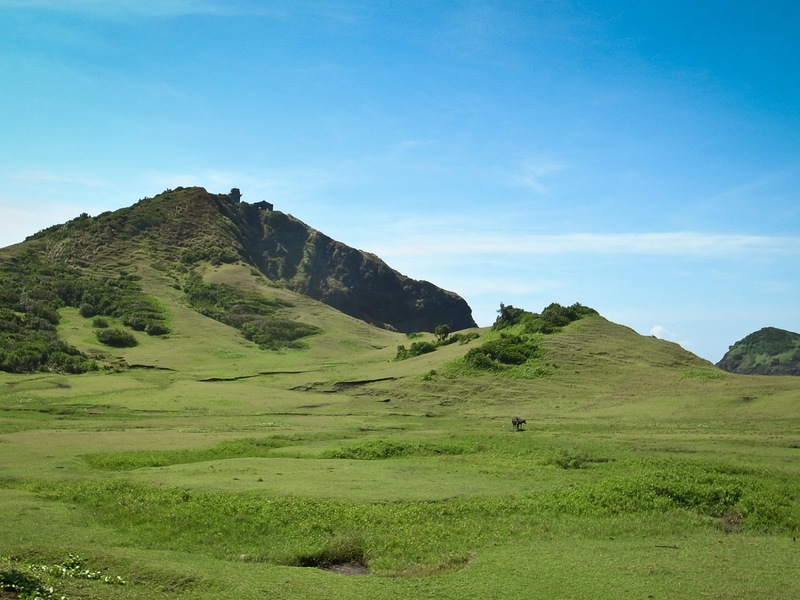 Palaui Island has been declared by the government as a Protected Landscape and Seascape Area since 1994. The small community has taken a huge part in maintaining the pristine condition of the island and formed a group called Palaui Environmental Protectors Association. 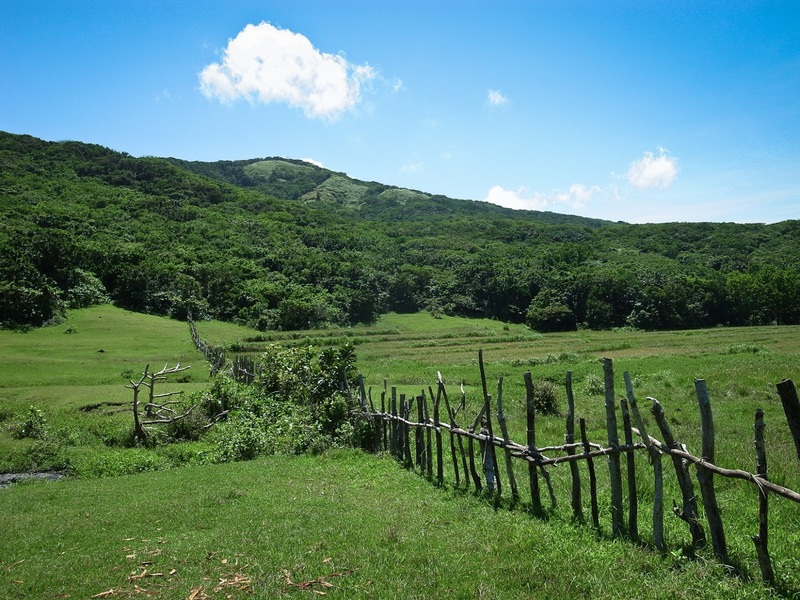 The island's population is more than 600, and all are living in the Punta Verde area. Aside from fishing, the community also generates income from tourism. All the guides are residents of the island and unlike other guide associations, they do not operate on a my-contact-my-income policy. Instead, all the collected fees are divided equally among the guides, regardless of how many guests they took for the day. The women of Punta Verde also prepare meals for large groups (6 persons and up). After a filling lunch prepared by Ate Jenny, we braved a high noon trek. Luckily, the trees in the forest provided roof for us. 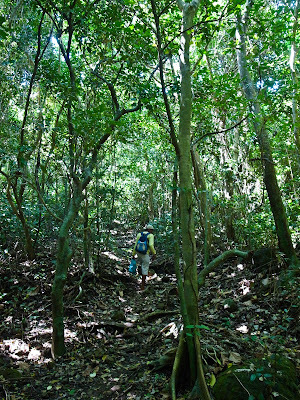 According to our guide Alfredo, a number of wildlife inhabitants like deers, monkeys, and wild boars are found in the island's forest. I wanted to spot one but we were walking way too loud. It was great hearing the bird calls though. 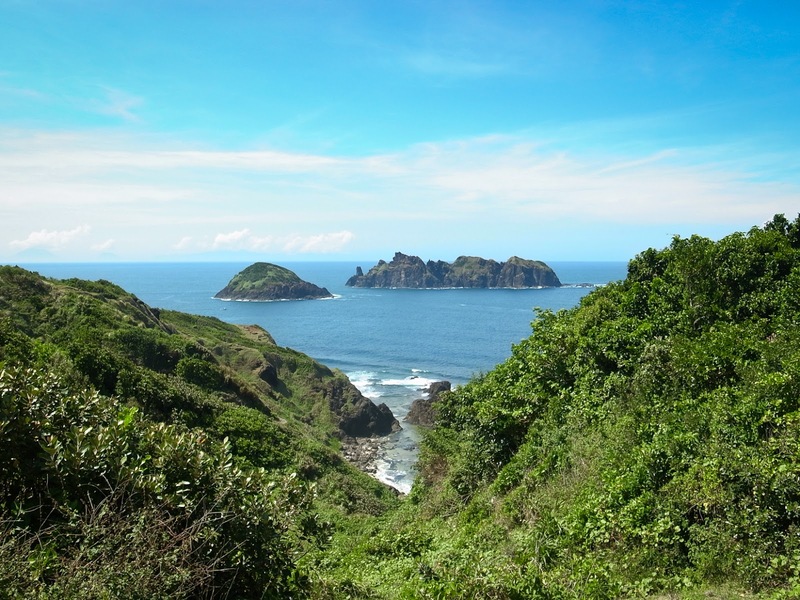 The trail is indistinct, if you plan to to find the way to Cape Engaño yourself, stop and get a guide! And then the trail broke off to a nice clearing. The next thing we knew, we were walking on the seashore, under the scorching heat of the sun. 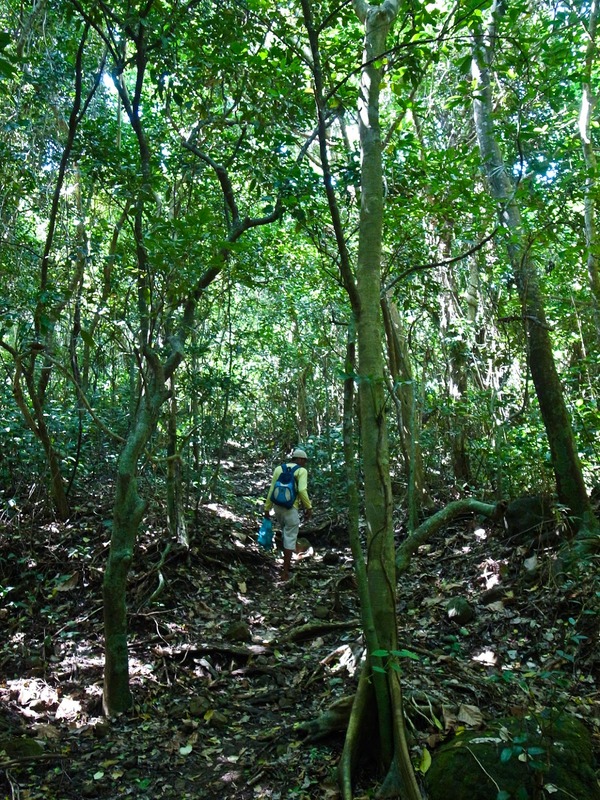 It was a cycle of finding our way through the forest, coming out under the sun at scenic clearings, and going back again into the cool, lush forest. After 2.5 hours of letting the island engulf us in its beauty, we finally saw a glimpse of the Cape Engaño lighthouse. From the bottom of the hill, we took a flight of stairs going up to the lighthouse. I stopped, caught my breath, and took in the amazing view from above the hill. On the right side is the calm and refreshing strip of white sand beach facing the Babuyan Channel. On the left, the waves were crashing on the rocky formations facing the Pacific Ocean. Finally, the lighthouse up close! 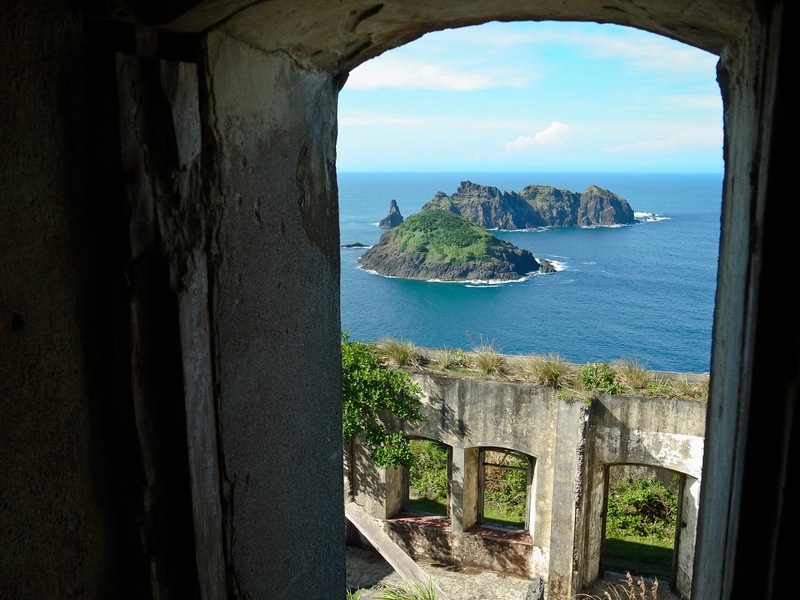 We went up the lighthouse and from the window facing east, the Dos Hermanas Island provided a spectacular view. Outside the lighthouse we saw birds with colorful beaks flitting from tree to tree. 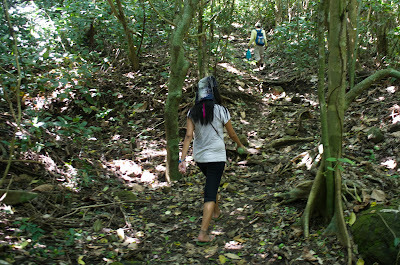 After taking turns in having our photos taken, we descended the hill and went towards the white sand beach. We rested for a while and chatted with the Coast Guard and the group of Navy personnel assigned to patrol the island. It was 4PM and I was afraid that we won't be able to make it back to Punta Verde before night time if we traveled on foot. We weren't prepared for a night trek (actually, we weren't ready for any kind of trekking!). Fortunately, one of the guides agreed to take us with him on the boat back to Punta Verde. We came home to Bayanihan Hall, with Kuya Charlie and Ate Jenny waiting for us with a huge bowl of steaming, hot sinigang na isda, several varieties of fish fried to a crisp, a plateful of rice, and a cup of coffee. 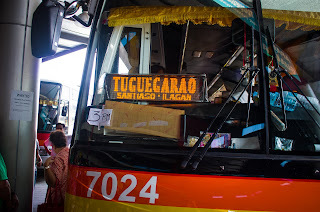 It took a total travel time of 16 hours to the northeasternmost island in Luzon. The whole unspoilt island of Palaui in itself was lovely, but staying for a night under the care of Charlie in the homestay made the experience even more pleasant and worth the long hours. Photos taken by me and Aaron Arvin Manila. For a detailed itinerary, refer to this link. - To inquire for the availability of the room at the Bayanihan Hall, contact Charlie Acebedo at 63906.845.54.72. Room rate is P200/head for the room. For guests bringing tents, rate is P150/head if they wish to set-up a tent on the yard. - For inquiries for the availability of the M/V Eagle Ferry to Calayan and for the rates of the boats to Palaui and nearby islands, contact Berly at 63927.785.4547. 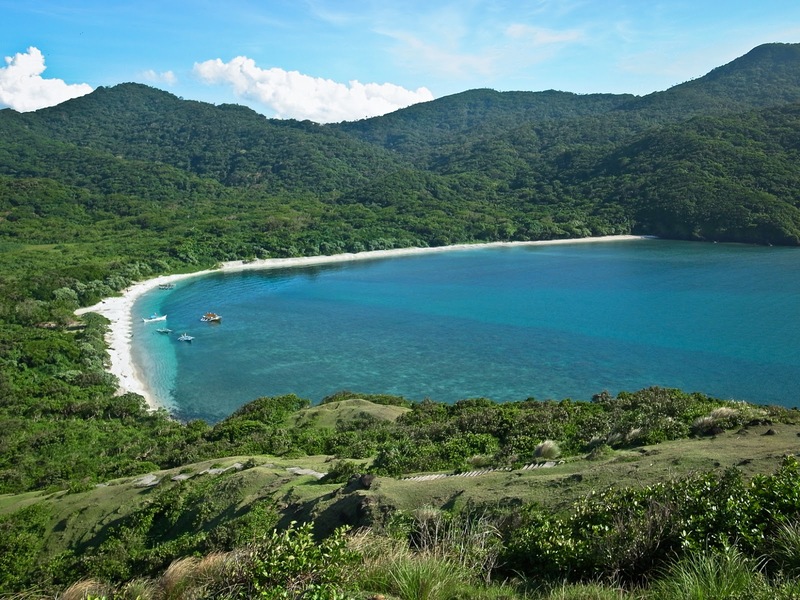 Boat rate to Punta Verde is P750 (round trip) , up to a maximum of 8 persons per boat.